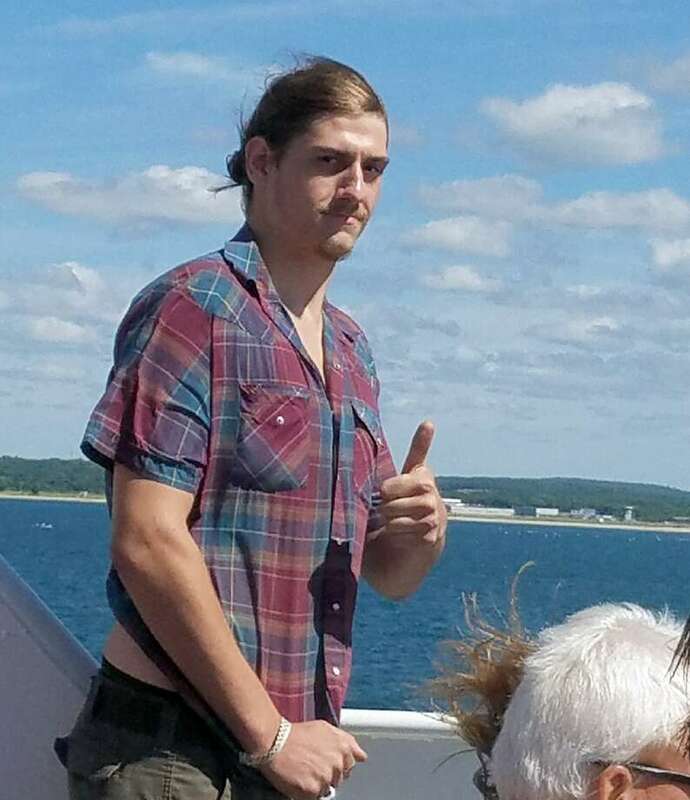 Tim Meeker Jr., 23, is still in Danbury Hospital after falling from a tractor near the Bridgewater Country Fair on Saturday. Meeker’s father describes him as a kind person who has a passion for animals. BRIDGEWATER — A young man who was run over by a tractor near the Bridgewater Country Fair last month appears to be on the long road to recovery. Tim Meeker Jr., 23, was rushed to Danbury Hospital in critical condition last month after he was run over by a tractor. Authorities said at the time that Meeker was asked to assist pulling cars stuck in the mud during the fair. He was riding along the back of the tractor and was pulled underneath one of the tires, officials said. Pastor Linda Williams with the Salem Covenant Church said Meeker has been removed from the intensive care unit and he no longer has the fever that had concerned his family and doctors. “There are still a few more barriers to come but they are hoping to transfer him soon to a rehabilitation facility,” Williams, who has been posting regular updates on the church’s Facebook page, said Monday. Meeker has suffered a number of traumatic injuries from the accident, including head injuries. Family members remain cautiously optimistic and have been by his side throughout the ordeal, she said. Meeker wasn’t a fair employee but likely jumped in to help out because that’s just the kind of guy he is, relatives have said. Dozens of cars had to be pulled from the muddy parking lot during the fair after more than 2.5 inches of rain fell on the region the week before. While family members said they have no doubt that Meeker was helping out with the effort, officials with the town and the fair said they had no knowledge of his assistance and only limited knowledge of the accident. Meeker, an electrician with the family business who has a passion for animals, was excited to attend the fair this year because he wasn’t able to attend in previous years due to his work schedule. His father, Tim Meeker Sr., said they had a conversation about week before the accident about Meeker potentially changing careers or going back to school.